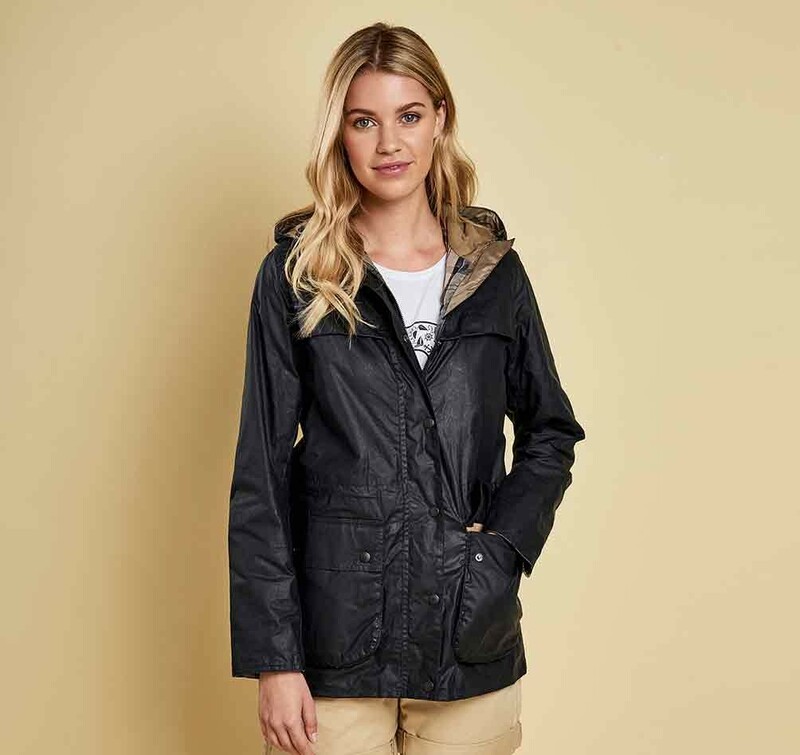 A lightweight, longer length women's wax jacket from Barbour. The Barbour Lightweight Durham Wax Jacket is crafted in a new 4oz waxed cotton with a cotton lining in the signature Barbour Tartan. 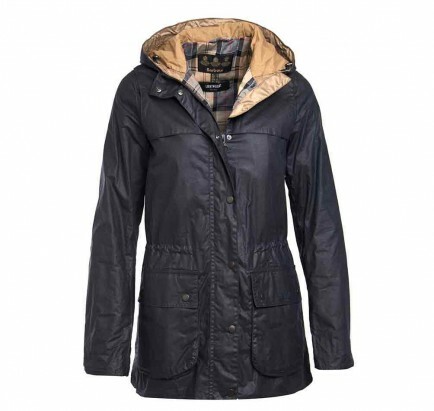 Hallmark details include a fixed hood, front yoke and an inner drawcord at the waist that allows the fit to be adjusted as required. 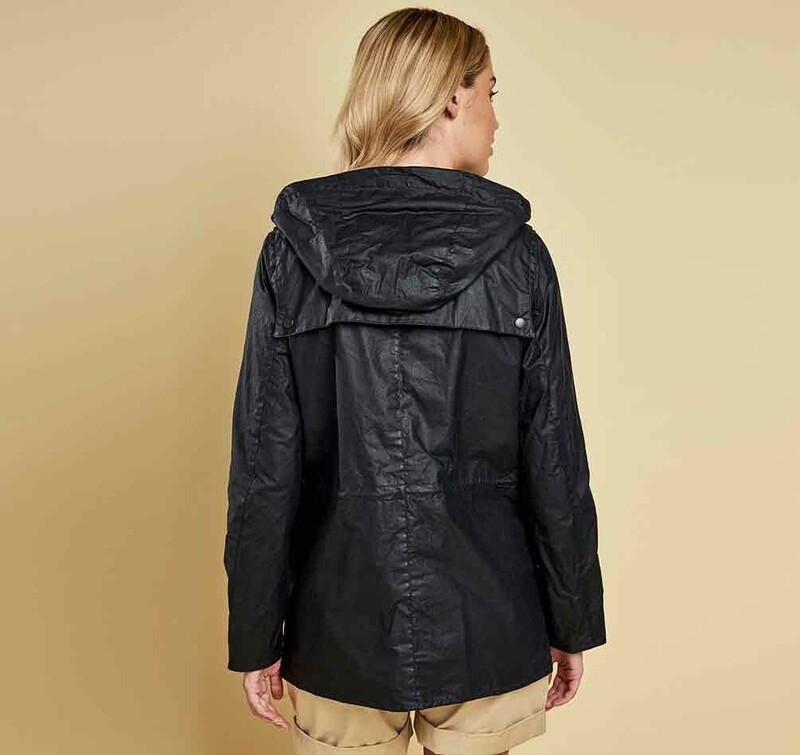 100% Waxed cotton outer. 100% Cotton lining. 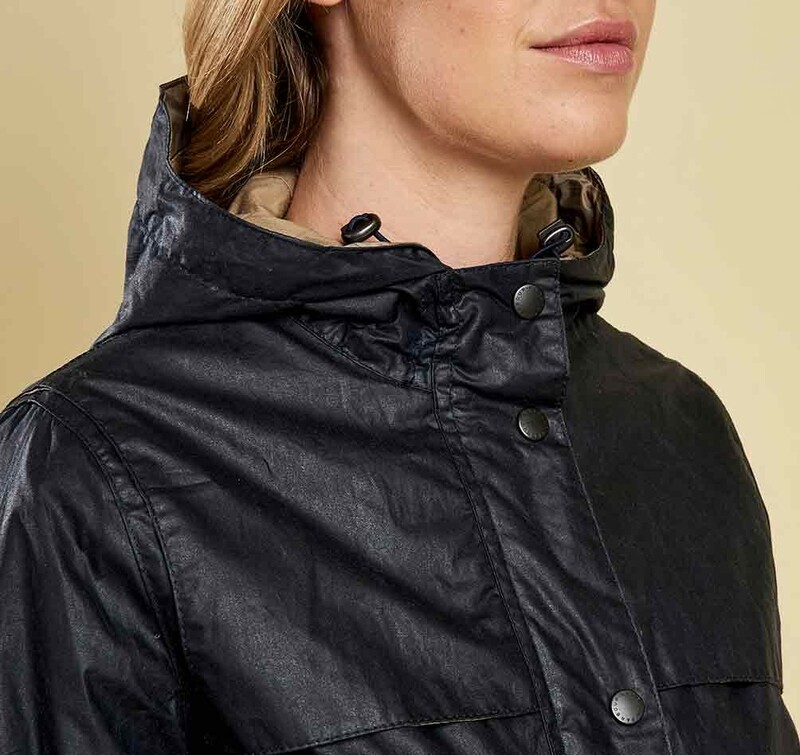 Hooded, with front yoke and inner drawcord. 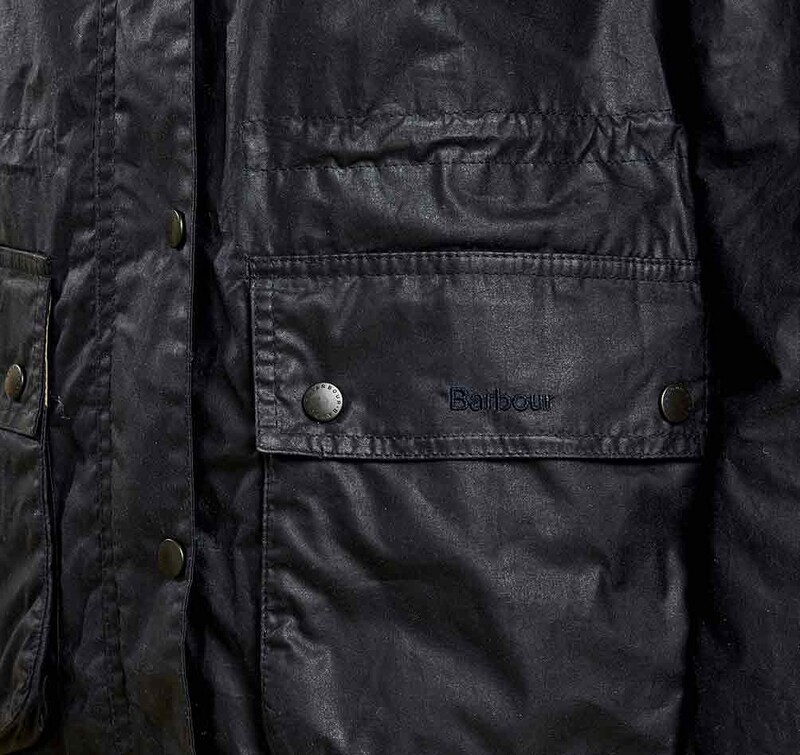 Barbour embroidery to pocket flap. Sponge clean only. Back length: 29-31.5in / 73.9-79.9cm.